At least the german audience of this blog will probably recognize the rather blunt punch line. Mediamarkt, for those who don’t know, is Europe’s biggest retail chain for Electronics with something like 650 stores. For different reasons, most of them not really relevant here, they did not have a Webshop up until last week. Can you believe that? Well, now they do. Last week they launched the site and did, as they often do, a pretty bold statement. No other than Amazon is the opponent they would like to attack. 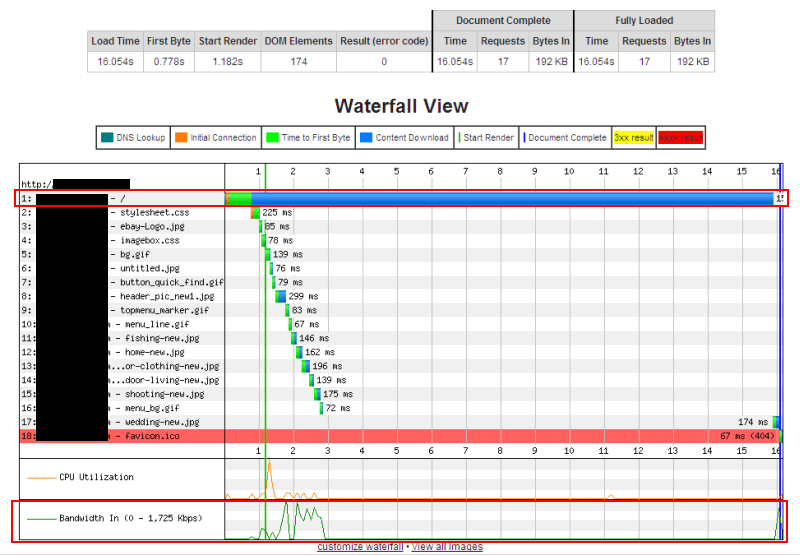 So I was curious, how they perform from a Web Performance perspective… To make a long story: Pretty badly. Yep, you are reading that right: Amazon is already visually complete, before Mediamarkt starts to draw a single pixel. Both tests done from WPT’s Paris node with 1.5 MBit/s bandwidth and IE8. Reason I picked Paris and not Frankfurt is that Paris apparently has a higher headroom regarding CPU Power. With Frankfurt I often encounter measurements, that are clearly having CPU Power as influencing bottleneck. Paris comes at a latency price of +10ms, which normally doesn’t worsen the results significantly. What is the reason, I hear you asking… Well actually it is two things Mediamarkt is paying for. First and foremost they are loading WAY too many CSS and JS Files (green and orange bars) at the beginning of the page. There are ~15 CSS and ~15 JS files placed in the HEAD section of the Page. They could reduce the Time to Render by quite a lot, if they would carefully concatenate them or inline part of them. But as you recall, it is not only the Time to Render, that is pretty bad. Visually complete doesn’t look much better, either. The simple root cause, and reason for the Headline, is weight. Or better Overweight. 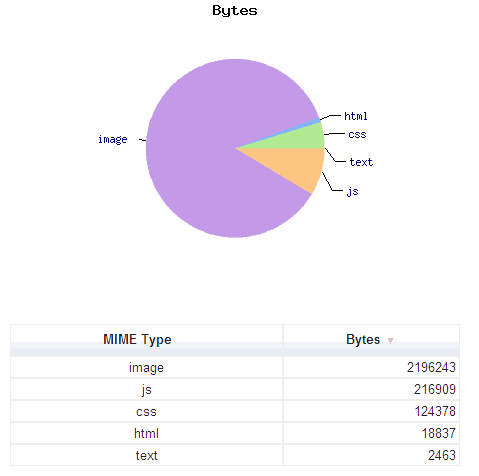 The page clocks in at 2.5 MByte! 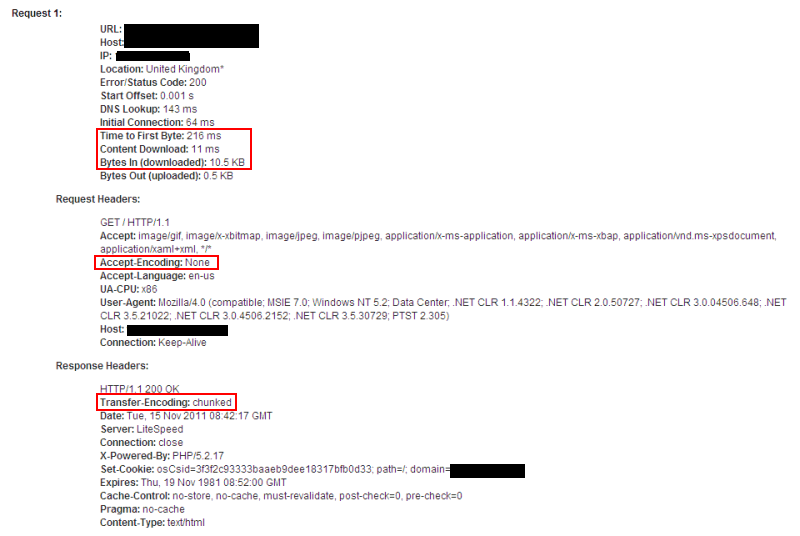 A simple math will tell you, that @1.5MBit/s it won’t get much faster than 15 seconds to download the page. But it doesn’t end here… BELOW THE FOLD, they have another Banner rotation with 5 images, each at 30KB resulting in additional 150 KB Page weight. And another 100KB image, which actually isn’t visible AT ALL. So, to sum it up, I assume you will be able to bring the page weight below 1 MByte, and if you properly lazy load, have a visual complete at around 800KB. Caching is rather on the short side. The good thing is, that almost every object DOES have a Cache-Control-Header. The bad news is, that the Time-to-Live is rather short with 1 hour, resp. 1 day. Cookies. Normally I would count that as Micro-Optimization. Their Cookies though are actually THAT big (don’t fit in a single frame) and are sent even with static objects, that they should have a look at that. They are serving 1 CSS and 1 Image from a different Domain, owned by them. No cookies there and no functionality. IMHO, they could put these two on the main domain, and save a DNS Lookup as well as 2 TCP Handshakes (This specific Domain sends a Connection: Close Header). To conclude, even though Mediamarkt achieves a decent 81 Pagespeed Score we shouldn’t come to the conclusion, that the user experience is mirrored by that. An invalid causation, as Catchpoint excellently has written about. From a performance point of view (and thereof user experience point of view), if they keep it, like it currently is, it will be quite a an uphill battle for Mediamarkt to fight. Many of you are pretty much aware of the fact, that you should never judge the performance / load times of your site testing from the Local LAN. This is actually pretty common knowledge, as the results may be skewed due to the fact, that your LAN is often connected via a big pipe to the site you are working on. But, there is actually more to it. The results might be be skewed in the opposite direction as well, and here I would like to point out, what reasons there might be. 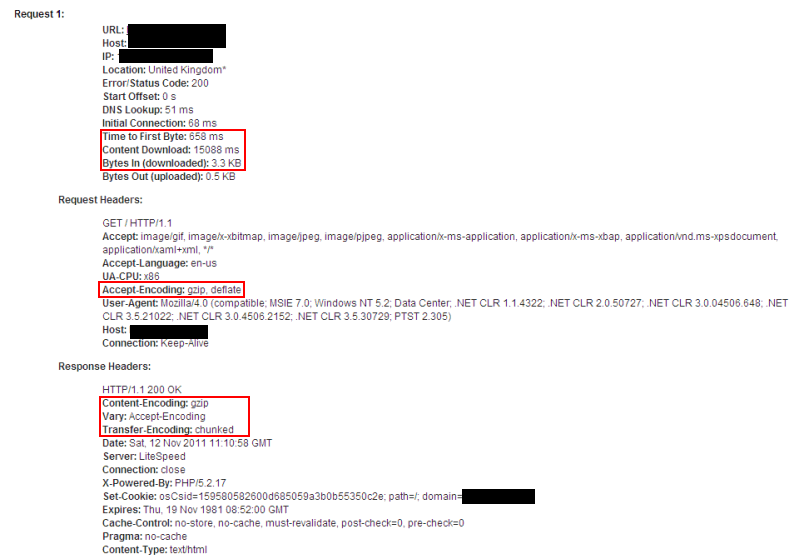 And also, why you should care anyway, even though that you already know, that testing from your LAN is not recommended. There are times, when you have luck, and they confront you with that. And then you might have some good WPT.org Videos under your belt, “proving” that the customer experience is much better. But I can assure you, doubts will remain (“They came back with some lame techie excuses”). And sometimes they don’t confront you with that. So you don’t even have the chance to defend yourself. We just had that recently, when we had a relaunch of our Portal, announcing big performance improvements, and we got some pretty harsh responses by our colleagues. So this is the reason you maybe SHOULD care about it, that it is at least not SLOWER than customers perception. 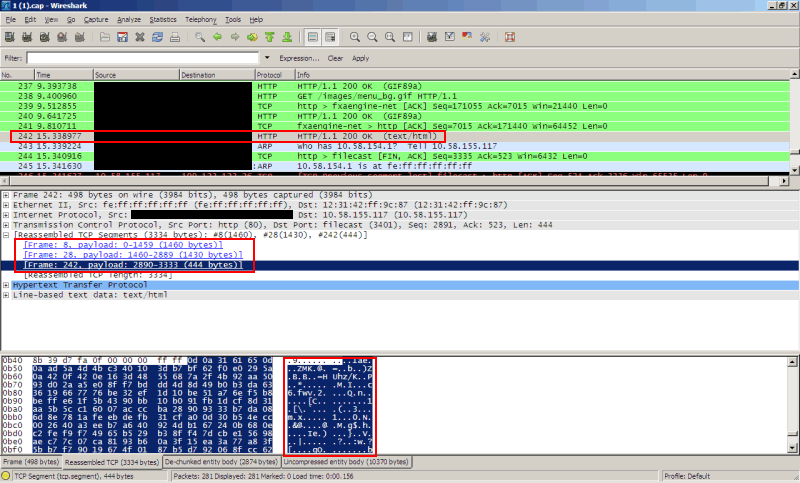 Debugging this was difficult, as workstations in the LAN a) rarely do have admin priviliges so some of your tools might be difficult to get running and b) are under the protection of data privacy laws, so tools like Wireshark might be forbidden. In our case most of the analysis was done using Fiddler. 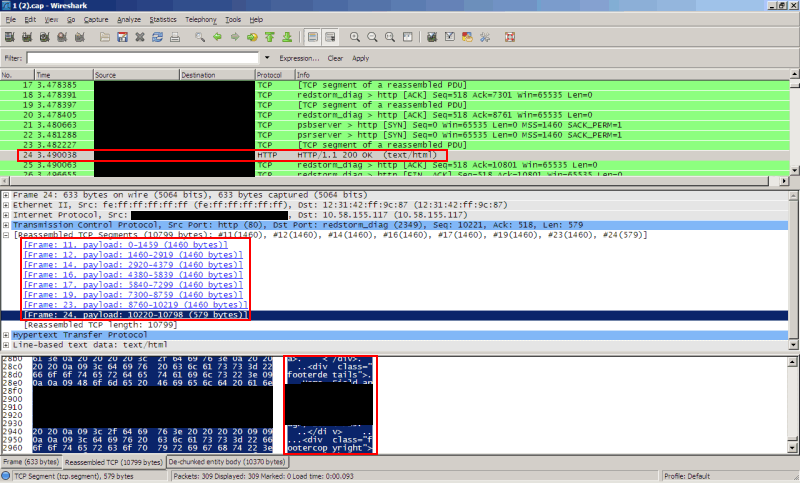 – IE 6 to IE 8 is limiting the amount of TCP Connections when connecting through a proxy down to 2! As we shard our Portal across three domains, this means for IE 8 a difference of 18 vs. 2 connections. – IE 6 to IE 8 is by default downgrading from HTTP 1.1 to HTTP 1.0 when connecting through a Proxy! This is massive. You won’t have persistent connections, which is extremely painful with SSL (which is the case with our Portal), but you also lose the ability to use your carefully crafted Cache-Control Headers!The first issue can be solved via some Registry Key, the second one is a Browser Setting. Especially regarding the persistent connection be aware that you have to check the whole chain (Browser, Proxy, Webserver), that none of them is configured to downgrade to HTTP 1.0! Eric Law from Microsoft has written for example an excellent Blogpost on that. Security: Within our LAN we actually have two kind of proxies. One for unknown domains, and one for “known secure” domains. Which means some kind of white list. Of course our portal is on it 🙂 The proxy for unknown domains checks each and every object for Viruses. Now when we introduced with our relaunch of the portal 2 sharded domains, we forgot to put them on the white list. Resulting in all objects fetched from the sharded domains (~90%) went through a time consuming Virus scan! DNS: As we found out, in our corporate setup one device in front of our local DNS Servers was configured to drop traffic on TCP Port 53. Unfortunately the workstations in our LAN were trying to resolve our Portal domains using TCP first, and only after a time out, fell back to using UDP. So we had a nice lag in Time-to-Render right at the beginning. This behaviour has been in the past apparantly so common, that they published an RFC to halt people from thinking, UDP Port 53 is enough to support the DNS System.